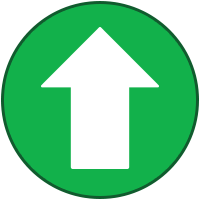 Today we have upgraded the software used to power the Geocaching Forums. The discussion boards are now at https://forums.geocaching.com. Visitors to the former URL (forums.groundspeak.com) will be redirected for some time. The forums are mobile responsive (users can easily view on tablets and phones). Easier access to your forum activity history via the Activity>My Activity Streams tab. This is the first forum software update in approximately seven years, so we understand the new look and feel will take some getting used to. Also, there are some formatting issues with past posts that we’re attempting to address. We’ll be monitoring feedback in the coming weeks. Ben F. from HQ’s IT Team is watching the thread to answer questions whenever possible. We’re very sorry for the delay in implementing the new forum software. When we took the forums down last Thursday, we believed we could get them back online by Friday afternoon. But a few processes took longer than expected, which delayed things through the weekend. We’ve still got a few known kinks to work out, but we at least wanted to get the forums back online so discussions can continue. I expect people will notice an issue with forum avatars. The forum is pulling the avatar image from your Geocaching.com profile. On Geocaching.com, the image needs to be at least 68 pixels x 68 pixels, which is what a lot of people have uploaded to the website. But the forum software uses a profile image size of 150x150. What you'll need to do is go to your Geocaching.com profile and replace your Profile Photo with an image that's at least 150x150. The forum profile avatar will update accordingly. The new forum looks awesome! Well done! But there is one thing I'm missing, and that's the link to take me to the latest unread post in a topic. Any way you can bring that back? This seems to work the same as before the forum change, When you go to the list of threads in a forum section, click the green blue dot to the left of the thread name and that will take you to the first unread post in that thread. This seems to work the same as before the forum change, When you go to the list of threads in a forum section, click the green dot to the left of the thread name and that will take you to the first unread post in that thread. Like a brand new wardrobe, this will take a little getting used to, but I like it. This is purely aesthetics, but is there some way to delineate one post from the next? Maybe a thin vertical line or a bit of shading in the "Posted x minutes ago" section? Not enough contrast between threads. What happened to the "Watched Forums" section. I used to watch the "General Topics", "Website", "How Do I", "Photography", and "All Nations" forums and could quickly visit each sub-forum, read unread messages, then go onto the next sub-forum with unread messages. Now (unless I'm missing something" I have to scroll through the list of all sub-forums to pick the ones I want to read. Where do I see a list of threads with new topics in them? (Not all new posts, but a listing of threads?) "All Activity" and "Unread Content" seem to display posts, not threads. EDIT: Oh, wait - looks like "Unread Content" IS a listing of threads, rather than of posts. Never mind. Taking a stab here... You might be able to make https://forums.geocaching.com/GC/index.php?/discover/unread/ work. When you go to this, it offers some options across the top, one of which is the Following drop-down. You can select "Content posted in areas I follow" and have those areas selected to follow. I've re-bookmarked the "Content I've Posted In" stream, and the "All Activity" stream, as equivalents to your content (old profile link), and the recent activity. I'm really not a fan of this forum esthetic (same one Cachly makes use of), but I suppose I'll have to get used to it. Once again it's a style that's straying from the compact appearance of the (what I guess now is "old school") desktop web forum styles. Will there be a way to use a custom forum skin like there was with the previous forum? That looks like it get me part way there, but how to I select "areas I follow" and have those areas show up on the forums "Home" page? That has a list of the sub-forums I'm following but it used to show up on forum "home" page and if there were no unread messages in a sub-forum it wouldn't show on the list. This is taking a little time to navigate. Most things are still in the same location, more or less, but the layout and visual style are going to take some getting used to. As with the website, looks like you're going the way of adding more padding and empty space for readability rather than compactness (I'm not sure if these new forums are any more readable). Some things to improve: The light grey background behind each post is too close to the white of the post box itself and the main page background. Thus it's super easy to distinguish between posts. Perhaps making this grey just a little darker will make individual posts stand out more, breaking up the page for reading. The multi-quote tool has been greatly improved. Where I used to avoid using multi-quote in the past, it'll be much easier to incorporate responses to multiple postings within a thread. Also nice to see formatting tools and media insert functions. Dyslexic old fart, and realizing that "mobile responsive" is what's going on here, what's an "upvote", "reputation system", and why do we have a heart on a forums post? Still have a tough time figuring out the Help Center from it's changes (I simply show new folks the page, maybe they can figure it out), this will definitely take some "getting used to". As with the rest of the site... so much white space. It takes a lot more scrolling to read threads. Too bad there's no choice of templates as other forums tend to have. Also, people with multiline signatures have to re-edit them since line breaks are now (at least for the most part) double spaced. A single line break needs to be forced. When I click on my username in the upper right corner and choose "Profile" from the dropdown list, it takes me to the profile for "Windstorm", not "Windstorm+". I think we've fixed it now to where line breaks are single spaced. When I click on your profile in the thread, it takes me to Windstorm, not Windstorm+, event though the URL has the "+" symbol. I agree. I'd rather not have emails about these forums too. But I received one from a thread I'm not even participating in. Very odd. Forum emails no longer have the new post's content. That was an easy way to quickly read replies without visiting the forums. (And a nice way to read stuff before it was censored). The emails I'm getting have the post content in them. I just don't want the emails. I want the option to turn the email notifications off while turning on website notifications. Right now I'm blocked from doing that. There are a bunch of notification settings in the back end that we'll try to adjust. I'd also suggest checking the Notifications Settings on your account to ensure they're dialed in to your preferences. It seems like there are a lot more options than in the previous software. I just see a link to the post, the content is not included nor do I see any setting to change this although there are plenty of setting to receive notifications for every post, daily, weekly or " Do not send me notifications "
Thanks. Looks like you guys unlocked the setting that was needed. Also the notification list seems to be working now. Huh weird. I definitely just replied to this after reading your reply in the email, which came just before I turned off email notifications (after the option was just enabled). Would you mind posting the steps to changing a Forum signature and Forum Title? Or is that not functional? I think I found the problem. Just as the new cache notifications it seems content is not shown in text only environment only HTML which my "Mailwasher" software does not show. I tried it just now in another thread and it worked! That's a improvement over uploading pictures somewhere else first. Can confirm. I updated my signature line in the normal fashion (by editing the settings page for my account) several hours ago. The change I made was to substitute in the new link to the Forum Guidelines. If you click on the Forum Guidelines link in my signature, you will receive an error message. The signature change has not taken effect, even though I've logged out and logged back into my account on both Geocaching.com proper, and here in the Forums. I tested a signature line by changing it here in the forum profile account settings, and the changes took effect immediately. Will do some digging and try to figure out the Forum Title part. Thanks for the tip on changing signature lines! Since forever, the method for doing that was housed on the Geocaching.com account settings. Nothing's changed there, so now there is a disconnect because the new method is to update the details directly in the forum software. With the previous incarnation of the forums, there were multiple skins that we could choose from. I chose one that was more compact than the default "Geocaching" skin. Is there any chance that this incarnation of the forums will have multiple skins that we can choose from? In the meantime, I made this incarnation of the forums a little more bearable via Ctrl-<minus> to scale everything smaller than the default. (I think the first step is 90% of the default, but I'm not sure.) That's certainly a first for me. Also, I couldn't get my forum signature to migrate, even after logging in and out of the forums a few times. I ended up copy-pasting it from my geocaching.com profile settings page. I tested a signature line by changing it here in the forum profile account settings, and the changes took effect immediately. Yes, there it is! That's the first place I went before asking, and somehow overlooked it. NA. Very user-unfriendly. But, I guess we old-time GPSr users are out of date. Redo everything for the cell-phone users. what's an "upvote", "reputation system", and why do we have a heart on a forums post? The Notification system alerted me just now that one of my posts was upvoted! Sweet, now I have a reputation. And are we going to get the Forums back on the Waymarking site at some stage? Currently, when we click on Forums on the Waymarking site, we are just getting the message: 404 Not Found. One thing I find counter-intuitive (and somewhat annoying) is the blue dots next to sub-forums and threads. If you click the blue dot next to a thread title it takes you to the first unread post. If you click the blue dot next to a sub-forum name it switches off all the blue dots for threads in that forum. Without warning. It would be really good to do away with the blue dots next to thread titles ( as a link - keep them as a notification) and automatically go to the first unread post when clicking on the title. My tablet used to do this, but the PC didn't. Uh... I'm a "cell phone" user (smartphone user). And I don't like the style either, vastly prefering a more compact desktop esthetic. Functionality, sure, but visual esthetic has nothing to do with "old-time GPSr users". But it is a trendy gearing towards a 'modern' culture that is more likely to do much more by touch from smaller non-desktop screens such as phones or tablets rather than PC/keyboard/monitor. Just try not to draw lines of controversy again between GPS device users on this, that's all I'm asking. This is primarily a usability and style preference issue, nothing to do with GPS device. 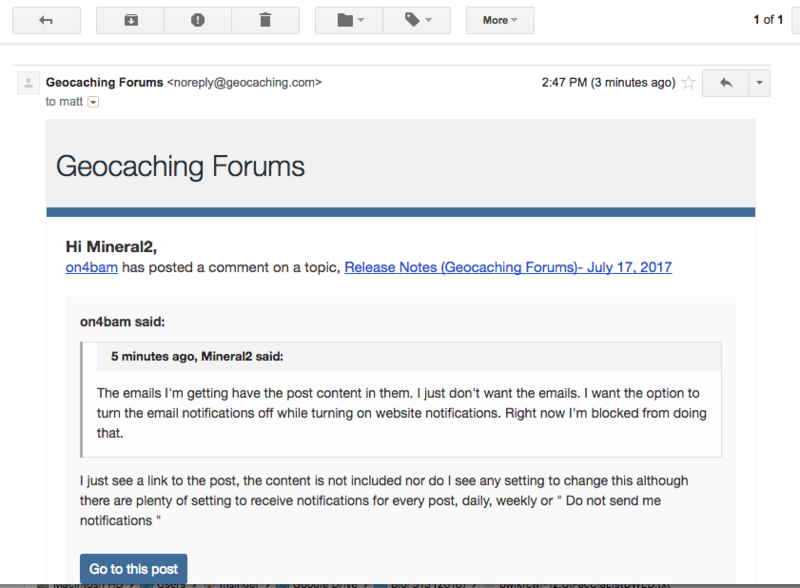 I've just received a notification e-mail which had a link to the forum topic. It would be really nice if that link pointed to the actual post which triggered it, and not to the first post in the topic. cerberus1, I think it just means someone liked what someone else had to say. Same as the +1 thing yall do here when responding to or just quoting a post. I just "liked" (or rather..."hearted") igator210's post because I agree.....it's going to take time to get used to this new look.